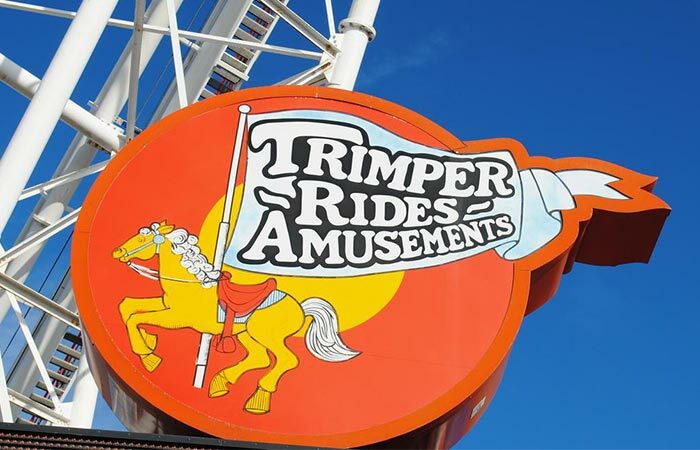 Trimper’s Rides and Amusements has always been a prevailing influence in Ocean City, Maryland. In fact, it has been an entertainment site since the late 19th century. You can visit the attraction just about any time as the more than 100 rides its features are located both indoors and outside. However, because this popular entertainments spot, you will also have to pay more for the privilege of a visit. 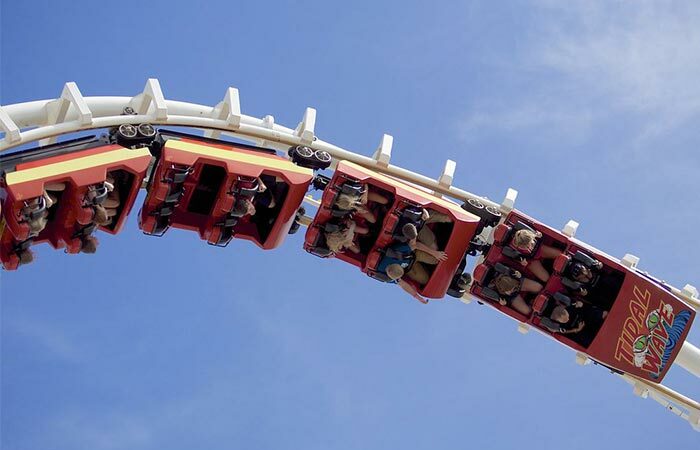 Nevertheless, that visit guarantees both thrills and fun for you and your family. You can even visit the attraction with fun-loving adults. There is something for everyone at this Ocean City entertainment spot. That is why many families book travel to this locale in the summer months. Just take a walk on the Ocean City Boardwalk and you won’t miss Trimper’s Rides and Amusements. In order to find the travel and amusement attraction, you need to head north past the city’s Life-Saving Museum, which is situated on the southern tip of the city’s Boardwalk. If you are visiting the amusement site in the colder part of the year, the indoor rides begin operating around 1:00 p.m. on weekdays and at high noon on Saturday and Sunday. The outdoor part of the park is open from the middle of June to Labor Day. Rides begin operation at 3:00 p.m. during the week and at noontime on weekends. Each ride requires a separate ticket. Therefore, to make it easy on yourself, buy a wristband instead. That way, you can enjoy unlimited access to all the park’s rides from the time the park opens to 7:00 p.m. Single tickets can be used during the evening hours at the park, which begin at 7:00 p.m. and run until midnight. Needless to say, you cannot take a stroll down the Ocean City Boardwalk and bypass Trimper’s Rides and Amusements when you are in town. Amusement is built into the fabric of the city, which makes travel to Ocean City a carefree excursion – one that will bring out the kid in you and take you away from adult responsibilities – at least for a while. Tidal Wave is one of the most popular rides in the park. The amusement park, which was established by Daniel B. Trimper and his wife, Margaret, originally featured rides on the merry-go-round that cost only a nickel. The park’s carousel is a landmark ride as it is considered one of the oldest merry-go-rounds that are still operating in the country. Another park ride that is popular is the Tidal Wave, which is designed as a looping roller coaster. Former riders advise new Tidal Wave riders to be careful of the undertow – before you recover with your first contact, the coaster takes another surge. However, this time, it moves backwards! With that kind of excitement, you will find it nice and relaxing to settle for the evening at a premier hotel on a travel holiday. The Princess Royale is an ideal place to stay after an adventurous day at Trimper’s, or following a visit to other exciting Ocean City attractions.